When you’re registering for classes, first be sure that you meet all the academic prerequisites for those classes. 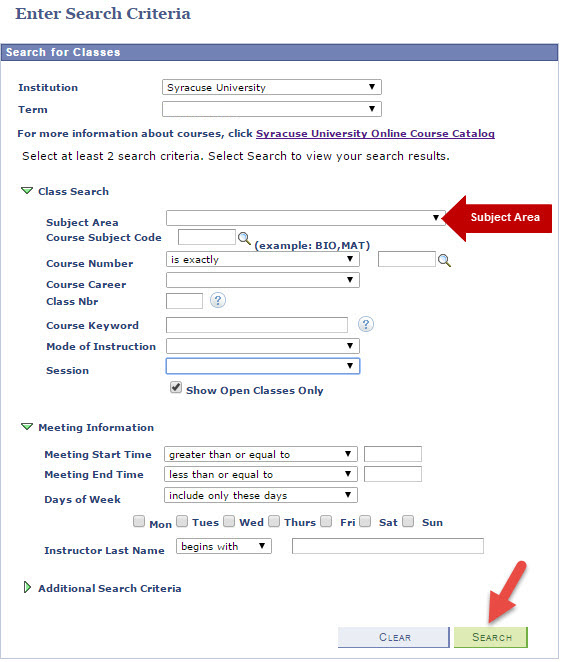 They’re indicated in the class listings and descriptions on MySlice and in the credit course catalog. Also remember that you must maintain standards of academic achievement and good citizenship outlined in the SU Code of Student Conduct while a student at Syracuse University. 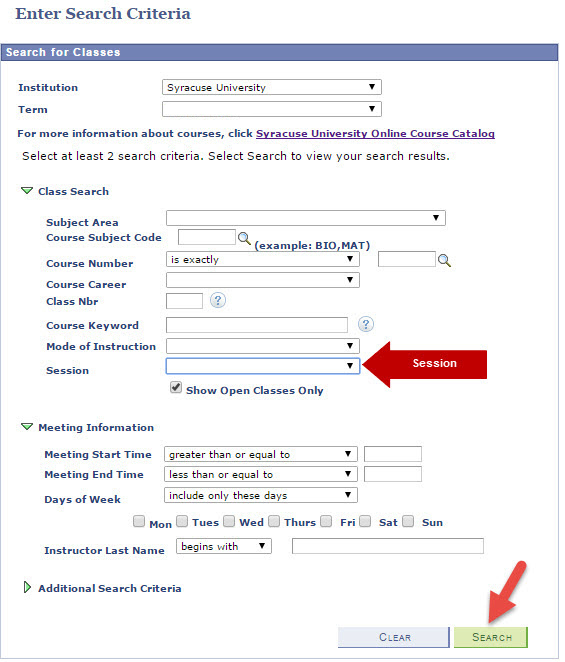 MySlice class search allows you to view up-to-date credit class information online. There are many different search options. Listed below are some common criteria that you can use to search. Make sure Current Semester is selected for the Term. Click on Search at the bottom of page. In person: On campus class. Online Asynchronous Non-Res: Class is delivered online, primarily without scheduled class sessions or real-time interaction. Online Asynchronous Residency Class: Class is delivered with a combination of limited on-campus course work and online class work. 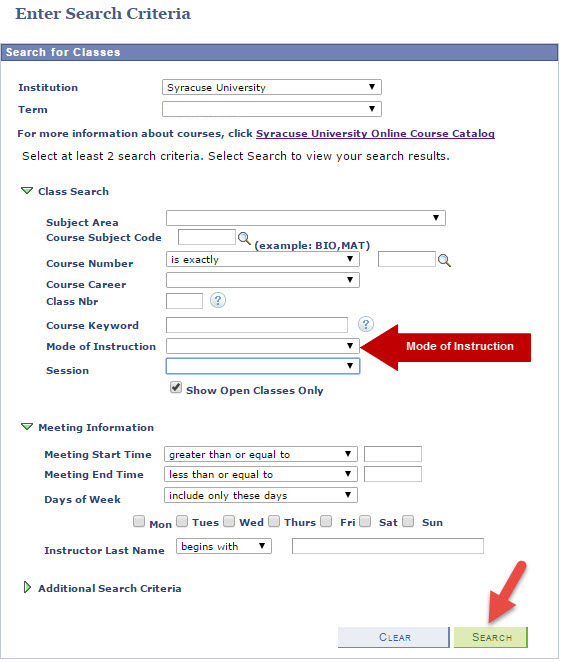 Online Synchronous Non-Residency Class: Class is delivered online but during scheduled class times. Online Synchronous Residency Class: Class is delivered with a combination of limited on-campus course work and online during scheduled class times. Hybrid (Blended) Online Courses: Courses that are fully online and dubbed hybrid engage students in both interacting with the professor and each other through tools like video- or web-conferencing that require them to be together at the same time-synchronously, and tools like email and discussion boards that allow them to interact asynchronously.